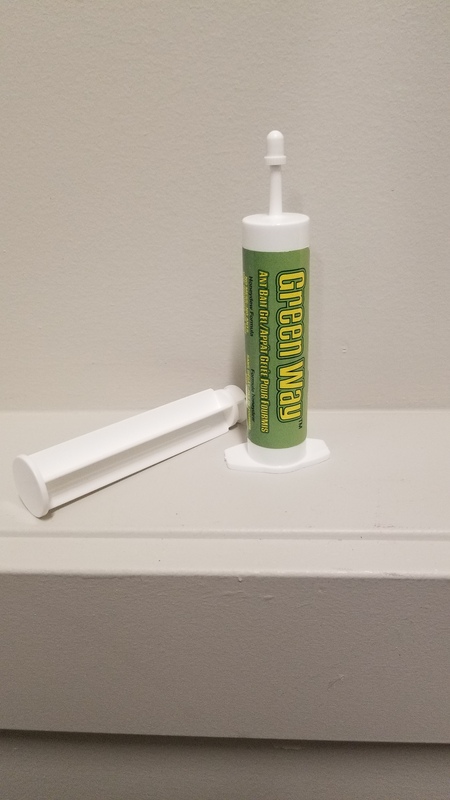 GREENWAY ANT BAIT GEL incorporates boron (in the form of Borax) in special food bait which is highly attractive to ants. Ants pick up the bait and take it to their nests to feed the colony. The boron works slowly and sufficient bait should be made available for continuous feeding. The ants will return to their nests after consuming the bait and will feed their young and the queen, destroying the colony. Repeat placement of the bait until satisfactory control has been achieved. Do not use sprays, foggers or any chemicals or cleaners near the bait containers or placements. This may contaminate the bait and cause the insects to cease feeding. For control of ants, use indoors or outdoors near homes, apartments and condominiums.